1. Gather your Materials. You can use any paper for this but something with a bit of weight works best for the tail when you cut it out. 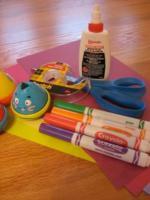 Crayons and double stick tape are great for toddlers while preschoolers do great with paint, markers, and glue. 2. 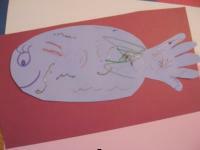 Draw the outline of the fish, or have children do it. 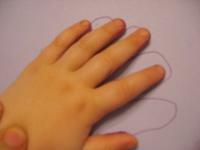 Don't forget to leave enough paper for tracing each child's hand for the tail! 3. Next, decorate the fish. This is the open art aspect of this project, there is no wrong way to decorate this fish, let them go for it. I like sparkles (okay I LOVE sparkles) so I added some to the fish. You can add stickers, ribbon, anything! 4. 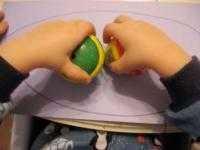 Trace and cut out each child's hand and glue or tape it to the finished fish for a "Hand" made tail!